A few years back I wrote about the The Lego Movie and how it captured the operation of fascism in a form that was both accessible and about as enjoyable as fascism ever can be. Some readers of this blog were unhappy that I’d ruined that film for them, so it’s only right I try to do that for another generation of scholars and young parents. The Lego Movie 2 isn’t as good as the first one (confine discussion of whether this is ever possible to yourself, away from me), but obviously I watched it, because, well, Lego. This aside, there’s still plenty of politics going on in the film., which I’ll write about now with some mild spoilers (because you’re not 9 years old and because you’re a serious scholar). For the IR types among you, there’s a whole bunch of realism going on, with security dilemmas, anarchy and the brutishness that this engenders in actors. The collapse of the (ultimately benign) dictatorship in the first movie produces a literal and metaphorical wasteland in which actions are guarded and security is everything. The final reconciliation of the actors this time occurs when they identify a common external threat and work together to overcome it. As a musing on power in its various forms, the movie offers a useful way to conceptualise how actors operate under uncertainty and the tension between collaborative and conflictual action, as captured in the notions of being a ‘master builder’ or a ‘master smasher’. For the gender scholars, there’s a bunch of gendered roles, paternalism (and maternalism), as well as how children ‘become’ adults going on in all this too. It’s also a classic of the ‘absent father’ trope and all that implies. But for my purposes, the film is all about constructivism. The logic of appropriateness runs through the entire piece, as individuals strive and struggle to either fit into their environment or communicate their intentions. If Emmet’s arc is one of finding a persona and an attitude that works from him (puberty alert! ), then Bianca’s is one of learning to signal intentions less ambiguously. As someone who teaches negotiation, I recognised a lot of these tensions from my classroom, where students are apt to adopt personae as ‘negotiators’ that don’t always sit comfortably with their more general sense of being. In both classroom and the film, individuals try out different gambits, with varying degrees of sincerity and of success. But ultimately, as the film suggests, it is when there is a more open exchange of views that progress is made, clearing up the confusions and misunderstandings and realigning how we view other’s actions. Indeed, the whole film turns on how individuals perceive one another and themselves: Finn misunderstands Bianca; Emmet is misled by Rex; Lucy struggles (as in the first film) with her sense of identity; Batman has to learn about living with light as well as dark; and Superman has to find accommodation with the Green Lantern. Identity here is thus not purely about being true to yourself, but also about being true to others. Whether you accept that being doing both you end up with a happy society – as the movie argues (as movies are wont to do) – is another matter. But however you take it, this case highlights how we can use cultural products to illustrate and illuminate our teaching: the beauty of politics is that it is pervasive, so we can find it pretty much anywhere we look, if we choose to see. Today we have a guest post by Jamal Shahin and Claske Vos, faculty in European Studies at the University of Amsterdam. Jamal also works at the Institute for University Studies at Vrije Universiteit Brussel. They can be reached at shahin[at]uva[dot]nl and C[dot]Vos[at]uva[dot]nl. Create an interview protocol—semi-structured interview guide. Present a literature and policy review in written form. These tasks are intended to give students a clearer view of the topics they wish to raise with their interviewees. At the end of the entire process, the students are expected to write up a thesis proposal to submit to their thesis supervisor. Many students are daunted by the prospect of interviewing experts in fields that they feel that they are only just starting to understand. It therefore takes some effort to assure them that their requests for information will not go unheard. We help the students write the initial emails that request an interview, and provide them with a rough template that describes the etiquette to use when presenting oneself to the potential informant. Our multidisciplinary faculty, which includes anthropologists, historians, political economists, and political scientists, can help the students express themselves to their interviewees. We hold a half-day workshop with the students, in which a range of lecturers from different departments present their own interview experiences. ‘Brussels’ is seen by many as a distant place, remote from the realities of daily life, even for students of European policymaking. This course helps students break through this perceived bubble by allowing them to engage directly with the policymakers themselves, rather than studying the policy process only through literature. It also occurs after an intensive eight-week course on European integration theories, and thus helps bring this knowledge ‘to life’—something that for students is frequently an unexpected benefit. 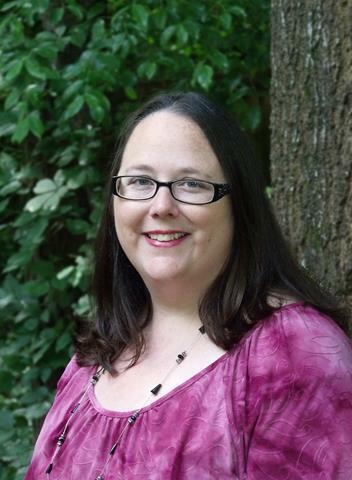 Today we have a guest post by Charity Butcher, Associate Professor of Political Science at Kennesaw State University. She can be reached at cbutche2[at]kennesaw[dot]edu. I am always looking for new simulations – particularly ones that are easy to use and require less preparation. For my American foreign policy course, I usually use my own simulation on Iran-US relations. However, the Council of Foreign Relations’ Model Diplomacy simulations, discussed by others here and here, was an opportunity to try something new. My simulation presents a crisis in Iran-US relations involving nuclear weapons, state support for terrorism, and/or the rivalry between Iran and Israel. In the simulation, students engage deeply with a topic, engage with a large number of state actors, and must deal with the consequences of their decisions. My ability to introduce problems in real-time creates flexibility and makes the simulation more dynamic for the students. However, my simulation requires a lot of preparation, both for me and my students. Model Diplomacy, on the other hand, offers professors a menu of topics to choose from, and many of the simulations can be completed in a single class period. The simulations come with outstanding background material, so there is little need for students or the instructor to do additional research. However, Model Diplomacy simulations do not move past a predetermined decision point and there are no consequences to participants’ actions. Students sometimes reach a decision very quickly, which might reduce what they learn from the simulation. I decided to use both my simulation and Model Diplomacy in the last iteration of the foreign policy course, in an attempt to capitalize on the advantages of both. Two one-day Model Diplomacy simulations served as a starting point for a longer three-day simulation. For this longer simulation, students began with the Model Diplomacy Iran Deal Breach scenario, but were provided with additional stimuli during the simulation and were able to interact with other countries. The results were quite positive, and I will continue to use both the short Model Diplomacy simulations along with a longer more interactive simulation in the course. Today we have the second of two guest posts by Nathan Alexander Sears, a PhD student in political science at the University of Toronto and previously a professor of international relations at the Universidad de Las Américas, Quito. He can be reached at n[dot]sears[at]mail[dot]utoronto[dot]ca. The game that I described in my previous post can be modified to demonstrate additional theoretical concepts. Relative Power: Changing the amount of resources each state possesses at the beginning of each round creates differences in their relative capabilities. For example, State A could begin with $10, State B with $7, and State C with $5. This change may lead to balancing and bandwagoning behavior, which is important in neorealism. National Identities: The game can be played with actual country names, such as the United States (State A), the Soviet Union (State B), the People’s Republic of China (State C), Great Britain (State D), and France (State E). This opens up the possibility that students’ ideas about national identities or knowledge of history may influence behavior and outcomes, which is central to constructivism. 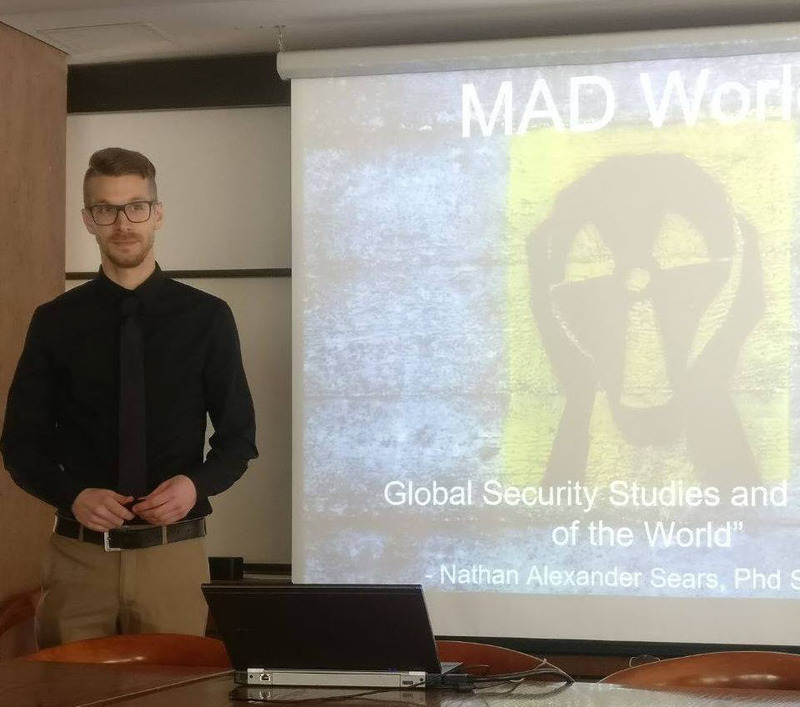 Today we have the first of two guest posts by Nathan Alexander Sears, a PhD student in political science at the University of Toronto and previously a professor of international relations at the Universidad de Las Américas, Quito. He can be reached at n[dot]sears[at]mail[dot]utoronto[dot]ca. This game introduces students to theoretical concepts in IR, such as neorealism, neoliberalism, constructivism, and bargaining theory. The class is initially divided into two states. The object of the game is to meet two, and only two, goals: (1) to survive and (2) to maximize the amount of money spent on enjoyment. Survival means that a state is not defeated in war by another state. The game entails multiple rounds, usually three or four depending on class time. Each round should take approximately 10 minutes. In each round, states begin with a budget of $10 and must make two decisions. First, each state must decide how to allocate its budget between two mutually exclusive items: armaments or enjoyment. States may choose any combination of the two items, but must allocate all of their resources each round. For instance, a state may choose $8 for enjoyment and $2 for armaments or $0 for enjoyment and $10 for armaments. These resources are nontransferable between states. 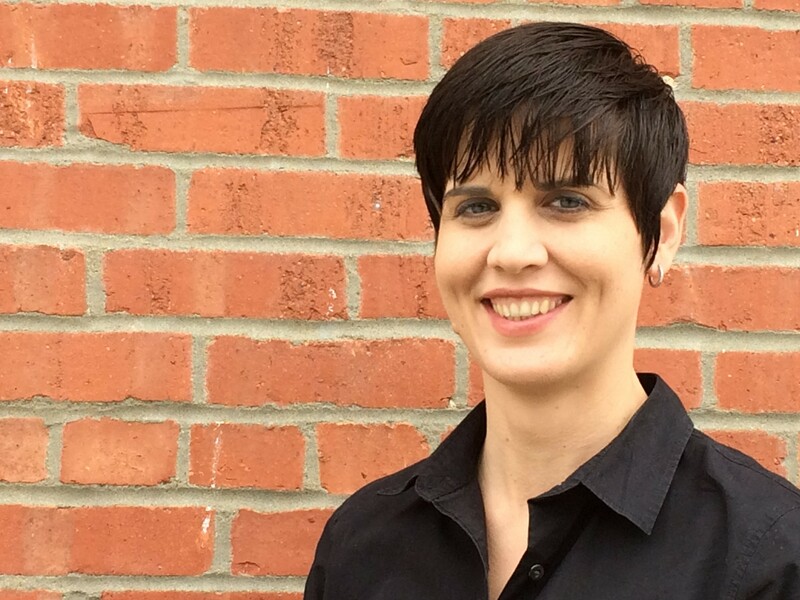 Today we have a guest post from Dr. Patricia Blocksome, Assistant Professor of Social Science, US Army School of Advanced Military Studies. She can be reached via her LinkedIn profile at https://www.linkedin.com/in/pblocksome/. Putnam argues that international negotiations between states occur simultaneously with domestic negotiations between intrastate coalitions – the two-level game. At the domestic level, politicians have to form coalitions large enough to ratify an international agreement. These domestic coalitions establish the win-set, the spectrum of acceptable outcomes for the state. At the international level, each state attempts to achieve an agreement that falls within its domestic win-set. When states have overlapping domestic win-sets, an international agreement is possible. Negotiations can occur concurrently over two or more different issues, leading to potential trade-offs, where a gain in one area can offset a loss in another.